Red Elm Woodturning Blanks, Sizes and Prices! from a 10x2 turning blank. 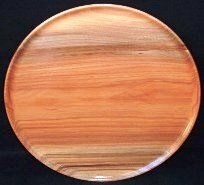 Red Elm's heartwood ranges from reddish brown to dark brown in color; a woodturning blank may contain the variety of colors. Its sapwood is a creamy yellow-white. The grain can be straight but is often interlocked. Red Elm is a good turning wood; it is easy to work. The wood can be sanded to a good finish. It dries well, with minimum degrade and little distortion. ALL RED ELM BOWL AND SPINDLE BLANKS ARE SOLD OUT.